Some time ago I showed you the results of my purple basil experiments this summer. Well, that dye bath went quite a bit further and I was able to have several other experiments with it, all of which threw quite a few surprises into the process. But as I removed the scarf from the pot and the excess dye drained away, I realised the colour I had accidentally achieved was in fact truly beautiful, a sort of raven black: a very dark grey with a strong blue sheen or undercurrent to it. And there were more surprises in store: as I washed the scarf, the alkalinity of the wash turned the colour into something else entirely: it was now a very dark jewel-like green, a regal green as my husband observed. It was a fantastic colour, but I wanted that raven blackish blue back so I soaked the scarf a vinegary water for a few hours. I played around with different levels of acidity just to see how it affected the colour, and eventually, settled with a medium grey tone. And once it dried, the grey in fact had a beautiful midnight-blue undertone and a wonderful depth to it. The colour seems to change depending on the light, and it was very hard to capture the colour correctly on my camera, in the picture below it looks perhaps a bit lighter and bluer than it is in real life. 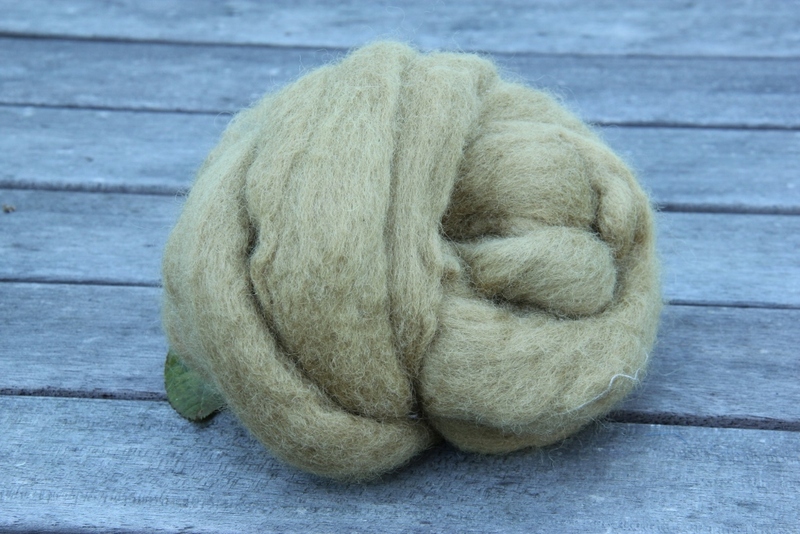 Next I wanted to find out what would happen if I used the exhaust bath to dye some wool-silk blend yarn. After all, if wool gives you pale greyish green, and you get darker greys with silk, surely the result would be a nice heathery mixture of darker and lighter shades? Well, it didn’t quite work that way. The skein I used was a mixture of 55% Blue Faced Leicester wool and 45% silk (undyed Decadence Heavy Lace yarn from the Stash Fine yarns). Unfortunately, the bit I didn’t really think through properly in advance was that the BFL wool was superwash, which absorbs colour differently compared to non-treated wool. So in the end both types of fibres absorbed the colour very strongly and I ended up with quite a darkish shade of medium grey. As I thought this colour was a bit dull, I washed the skein and hoped it would turn a nice dark greeny grey, but no, it was still just a dull grey colour, just a little undercurrent of greenness in it. Then I tried a soak in vinegary water to try to turn it purple, but again, it wasn’t really co-operating, there was a slight change, but when dried, the colour had reverted to medium grey. 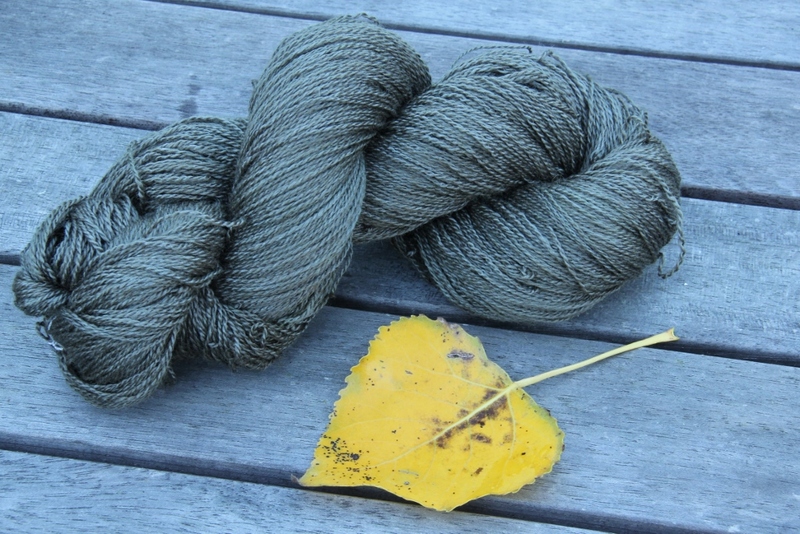 And when, some time later, I photographed the skein, I noticed that in the outdoor light there was a distinct green tinge to it again, so I am now wondering if the colour shifts slightly even when dry. Obviously this is the colour it wants to be, so I left it for a moment (although I am still not too keen on it – it looks better on the picture than in real life – so I may give the skein a dip in an indigo vat next). Even after all these experiments there was still quite a bit of dye in the bath left, so I decided to throw a bit more wool into the pot, but again there was a surprise in store. Rather than getting greenish grey, I just got plain straight-forward fawn, never the most exciting colour to get, but at least in this case there was the surprise factor, as I really don’t know why I suddenly started getting an entirely different colour compared to what had happened before. I even threw a few bits of silk fabric into the bath and they too came out more fawn than before, although it was more like a greyish fawn mixture, a bit like the colour of wood smoke. I’d love to know why this happened: was it that a particular pigment was now used up, or was it just the age of the dye bath, after all it had been stored, and occasionally simmered, for several weeks now? I don’t know the answer to that, but I suppose it is just another reason why natural dyeing is such an endlessly fascinating subject. 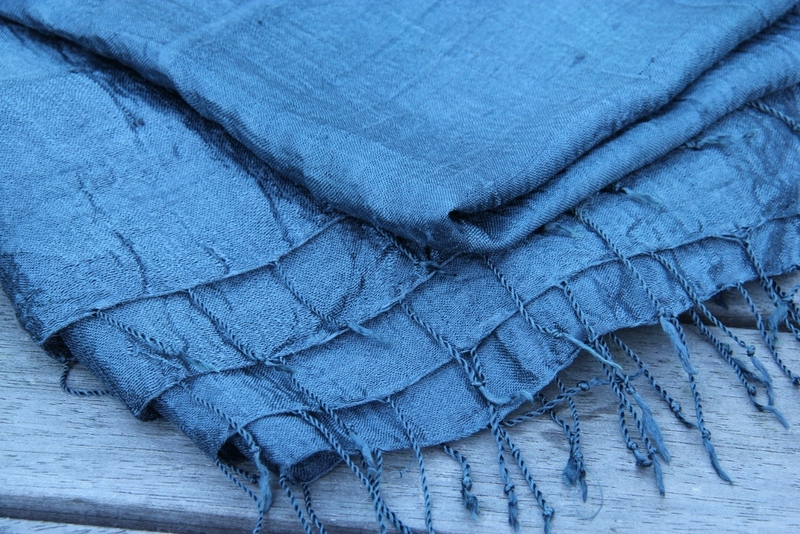 Categories: Blue, Colour Files, Dyeing, Grey, Scarves | Tags: dyeing with purple basil, natural dyeing, naturally dyed silk scarves, silk | Permalink.